Located in North-Central Saskatchewan, the Town of La Ronge is the largest town within Northern Saskatchewan with a population of 2,688. As the regional economic development hub in the area, along with collaborations with neighbouring entities, the Town of La Ronge is the home to many businesses and organization and is centrally located to service the entire Northern Saskatchewan Administration District. Under the Planning for Growth North program, the Town of La Ronge adopted their new Official Community Plan and Zoning Bylaw, which obtained ministerial approval and came into force on January 9, 2017. Flood Hazard Level (2012): The Saskatchewan Watershed Authority, now referred to as the Water Security Agency, released in 2012 an updated elevation levels for La Ronge that shows the areas within the municipality that have an increased likelihood of flooding within the municipality. This map is important to understand where municipal constraints exist within the municipality. Basic Planning Statement (2002): The Town of La Ronge completed a Basic Planning Statement in 2002. This document was approved by the Community Planning Branch and outlines the direction of development within the community. 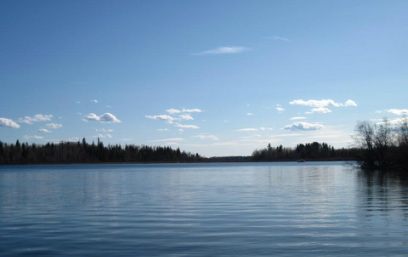 Zoning Bylaw (2002): The Town of La Ronge completed and adopted a Zoning Bylaw in 2002. The Zoning Bylaw outlines development standards within the municipality. Basic Planning Statement (1986): Prior to the updated Basic Planning Statement in 2002, the Town of La Ronge completed a Basic Planning Statement back in 1986. This document was approved by the Community Planning Branch and outlines the direction of development within the community. Planning Study Review (1986): In order to develop an appropriate Basic Planning Statements, the Town of La Ronge hired UMA Engineering Ltd., to review the existing situation within the municipality and propose where future development should occur and contribute to a successful Basic Planning Statement.